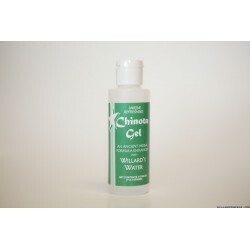 > Willard's Water Products>WW Gels - Topical use>Chinota Gel - 4oz. Users rave about the temporary topical relief Chinota brings to their aching muscles, and other painful conditions. It’s Willard's Water (WW) combined in NCI's exclusive formulation with several Chinese herbs and thickened into a gel. 4 oz size is Item HG-4; 8-oz size is Item HG-8. Users rave about the temporary topical relief Chinota brings to their aching muscles, and other painful conditions. It’s Willard's Water (WW) combined in NCI's exclusive formulation with several Chinese herbs and thickened into a gel. Users describe it as an “AAHHHHHH” sensation when used on tired, aching, muscles, and other painful conditions. Many describe the relief as “incredible” or “unbelievable”.